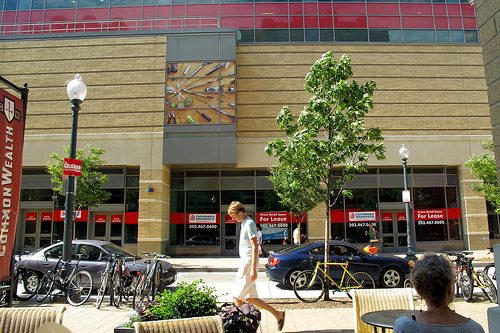 PoPville » DSW (Designer Shoe Warehouse) Coming to DCUSA in Columbia Heights? DSW (Designer Shoe Warehouse) Coming to DCUSA in Columbia Heights? Two job listings on CareerBuilding and Monster seems to confirm it. 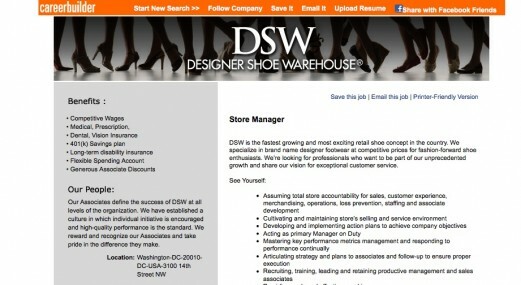 According to search results, DSW posted a notice for a store manager at new location at 3100 14th St. NW (ie. DCUSA) about three weeks ago. Any guesses on where the shoe store would go in DCUSA? Perhaps in the huge Ellwood Thompson’s space on Irving St, NW? Or that vacant space next to Senor Chicken on Park Rd, NW? Any fans of the store? Think they are a good fit for the DCUSA Mall?